"He’s an exceptionally capable lawyer...""An intelligent and balanced advocate who takes a considered and persuasive approach." "He has a good tactical sense." Alec Haydon is a commercial barrister who has acquired a broad range of experience acting in significant, high profile, high value, disputes involving a wide variety of issues and litigants. Before taking silk, he was sought-after as a senior junior by the most successful commercial practitioners but also enjoyed opportunities to act as leader or as sole advocate both in trials and in heavy, contested, interlocutory hearings which could involve anything from the extent of disclosure to making applications for injunctions and freezing orders. 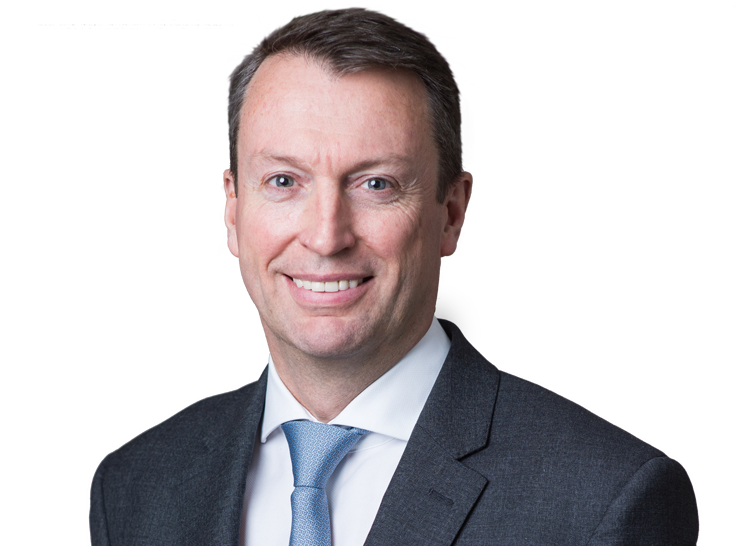 Alec has been recognised in the directories as a Leading junior barrister in Commercial Litigation, Civil Fraud and Energy & Natural Resources. Alec has been involved in a wide range of general commercial disputes as illustrated by the examples below. He is recognised to have good commercial judgment and an ability to identify the key issues in a case from an early stage of the proceedings. DP World Djibouti FZCO v Port de Djibouti SA  EWHC 2340 (Comm) – Acting for DPW successfully obtaining an injunction under section 44(3) of the Arbitration Act 1996 preventing PDSA from taking control of DCT, a joint venture company, pending resolution by a London-seated arbitration of the dispute as to whether the parties’ joint venture agreement has been terminated under Djibouti law and what effect that has on the Articles of Association of the joint venture company jointly owned by the parties. Dale Vince & Ecotricity v HMRC  EHWC 3144 (Ch) – acting for the Claimants and obtaining declarations that Mr Vince had been the legal and beneficial owner of trademarks in Ecotricity before he sold them to Ecotricity in 2007. Alec has been led by Mark Howard QC, Mark Hapgood QC and Laurence Rabinowitz QC in a number of high-profile “oligarch” disputes including the following. Privat Bank v Kolomoisky and Bogolyubov – acting for Mr Kolomoisky seeking to discharge a WFO and challenging the Court’s jurisdiction asserted under Article 6(1) of the Lugano Convention. Pinchuk v. Bogolyubov and Kolomoisky – acting for Mr Bogolyubov in an action between billionaire Ukrainian businessmen to resolve a dispute about the ownership of shares in a formerly state-owned mining enterprise, KZhRK. Berezovsky v. Patarkatsishvilli - acting for a Russian oligarch in a dispute concerning the existence and extent of an oral partnership agreement with his deceased business partner. Alec enjoys the forensic challenge presented by fraud cases and the strategic issues that arise in determining how best to recover money that has been lost. Alliance Bank JSC v Zhunus and Arip  EWHC 714 (Comm) – acting for Mr Arip, a Kazakh businessman, successfully applying to discharge a WFO obtained by Alliance Bank in support of allegations of a fraudulent scheme to deprive the bank of valuable security for loans and to set aside service of the Claim Form on the ground that there was no serious issue to be tried and material non-disclosure at the ex parte stage. Amber v. Wilkinson – acting for participants in a film finance scheme who alleged that the organiser of the scheme had defrauded them of their investment and had not made any arrangements for the films the subject of the scheme to be made. Obtaining urgent freezing and disclosure orders. BSKYB -v- EDS  BLR 267 - acting for BSKYB in a computer software warranty claim worth in excess of £300 million in the TCC brought by SKY concerning the implementation of a new CRM system. Alec was primarily responsibility in the counsel team for the complicated exercise involved in adducing evidence to quantify the loss. BHP Billiton Petroleum v. Dalmine Spa  BLR 271 (CA) – acting for a purchaser of pipes for a sub-sea pipeline in an action against the Italian manufacturer/seller seeking damages for breach of contract and fraud in the certification of the pipes. Alec is interested in the science behind energy disputes and enjoys getting to grips with expert issues that arise. BG v Talisman & Idemitsu  EWHC 110 (Comm) – acting for Idemitsu in its dispute with BG and Talisman concerning the distribution of expenses incurred by Talisman in operating a floating, production, storage and offloading vessel in the North Sea to process crude oil from two neighbouring fields. Electrobel International Holdings BV v. Teesside Power Holdings Limited - acting for the sellers of shares in the company owning Teesside Power Station defending allegations of breach of warranty relating to various assets material to the operation of the power station including steam turbines and a subsea gas pipeline. Alfa Petroleum Holding Limited v. BP International Limited - acting for BP in a dispute concerning the construction of a Joint Venture agreement with companies owned by Russian oligarchs who, with BP, were shareholders in TNK-BP. Seeking to set aside an injunction restraining BP from pursuing an opportunity to explore the Arctic for oil under a new Joint Venture with Rosneft. BHP Billiton Petroleum v. Dalmine Spa  EWCA Civ 170 – acting for a purchaser of pipes for a sub-sea pipeline in an action against the Italian manufacturer/seller seeking damages for breach of contract and fraud in the certification of the pipes. Rosserlane v. Credit Suisse - acting for a bank in defence of a claim by a borrower that the bank breached an alleged duty of care owed to the borrower in exercising its right to force a sale of an asset belonging to the borrower to realise funds to repay the loan. Shanning International Ltd v. Rasheed Bank – acting for Lloyds Bank plc resisting payment to the liquidators of the Claimant company of a deposit securing a counter-guarantee given to the Defendant Iraqi bank which could not be enforced while EU sanctions were in place prohibiting payments to be made to Iraqi banks. National Westminster Bank v Somer – acting for the bank at first instance seeking restitution of a payment made to Somer by mistake. Maritech Resources Inc v. Ironshore Insurance Limited – acting for a Texan insured in an action to recover under a catastrophe excess of loss cover against a Bermudan insurer following hurricane damage in the Gulf of Mexico. John Hancock Mutual Life Insurance - acting in various arbitrations concerning the reinsurance of books of business and spiral losses. Law Debenture Trust Corporation v. Lexington Insurance - acting for defendant insurer challenging avoidance of policy for reinsurance of film finance risks. 1994 Admitted as Attorney to the State Bar of New York, USA. 1993-94 Harvard Law School Cambridge, MA, LL.M. 1993 Called to the Bar of England & Wales. 1989-92 Cambridge University (St. John's College), BA, 1st Class.